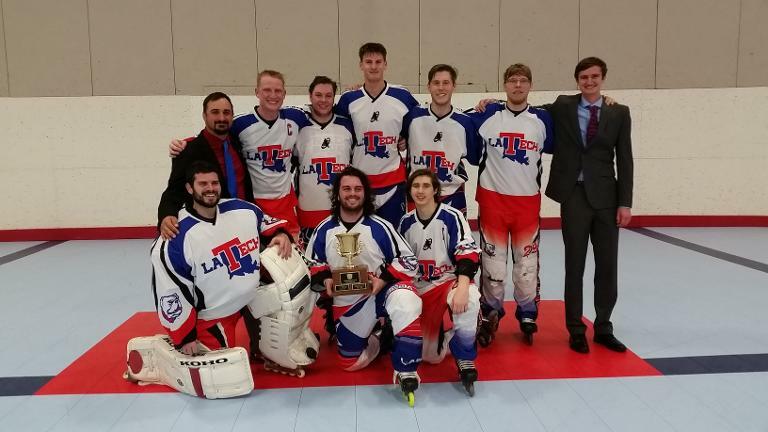 The Louisiana Tech Hockey Team is a competative collegiate roller hockey program. We welcome all guests, fans, and future players to contact us for any information. You can follow our season right here or also on SCHL.org. Louisiana Tech Hockey was founded in 2008-2009 by Cole Luse as it became a recognized school team. On September 5th 2009 under the guidance of player and co-founder Michael Hinton the Louisiana Tech Hockey Team entered the SCHL (Southwest Collegiate Hockey League) which is one of seven divisions of the NCRHA (National Collegiate Roller Hockey Association) national body. The Inaugural 2009-2010 season was capped off with a third place finish and the first ever rookie of the year award given out by the league going to the team captain Kevin (Cody) Fontenot. Since then we have continued to uphold, the Bulldog Hockey Tradition.